A modular panel room with panels with a hook can simply “follow” the activity it is connected with. 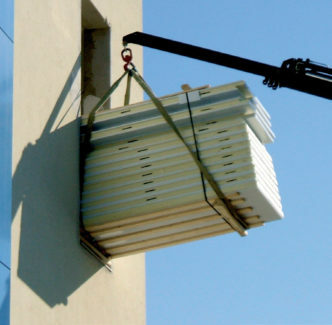 In fact, it can be easily disassembled, modified and expanded, without creating any damages to the existing panels. 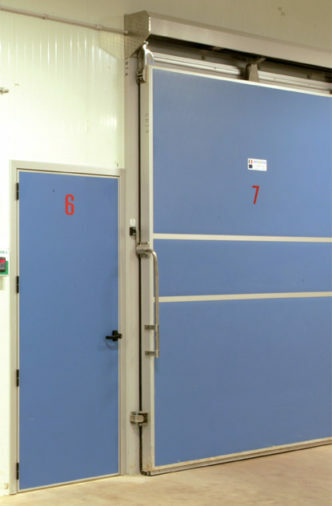 Besides the cold rooms can be integrated with doors, windows and various accessories which make the construction of the very room extremely customisable. In the BIG STORE SERIES with panels with a hook and manufactured discontinuously, the finishing level is high because during the production, the surface of the panel is obligatorily controlled, meter by meter, by an operator who fixes the hooks and injects polyurethane. Next at the testing stage all the hooks are tested and consequently further final quality control is carried out and so the panel finishing is tested. Royal Frigo, a company specializing in the production of prefabricated modular cold rooms for commercial and industrial use. Royal refrigerator produces cold GRP cells, cold rooms for storage of meat, flowers, fish, frozen cheese, ice cream, fruit and vegetables, medications.